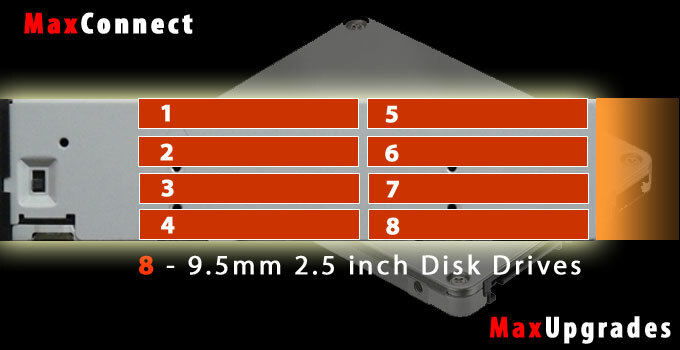 MaxUpgrades brings new high performance upgrade for the Mac Pro System - MaxConnect 2.5 inch Optical Bay kit that enables user to install eight 2.5 inch 9.5 mm SATA disk drives in the space for one Optical Disk drive. 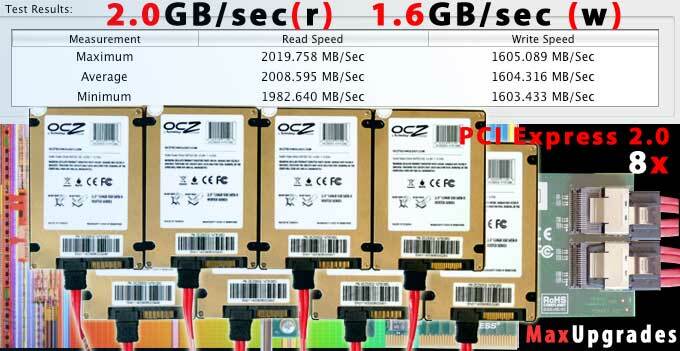 The above Data Transfer rate for eight SSD SATA Disk Drives connected via 8-Port PCI Express 2.0 Controller installed in the Slot 2 of the Mac Pro 2009 Models or can be installed in PCI Express 2 Slot 2 in Mac Pro 2008 Models. 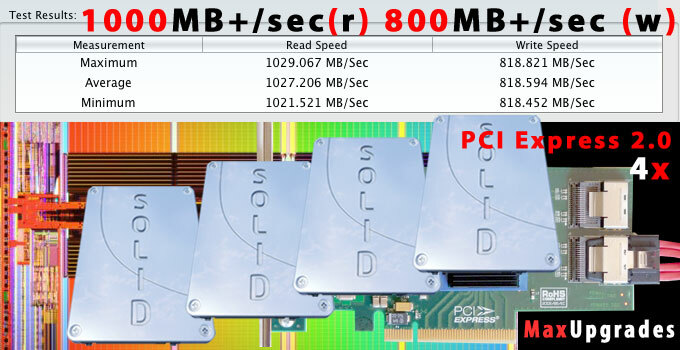 The above Data Transfer rate for six SSD SATA Disk Drives connected via 8-Port PCI Express 2.0 Controller installed in the Slot 2 of the Mac Pro 2009 Models or can be installed in PCI Express 2 Slot 2 in Mac Pro 2008 Models. 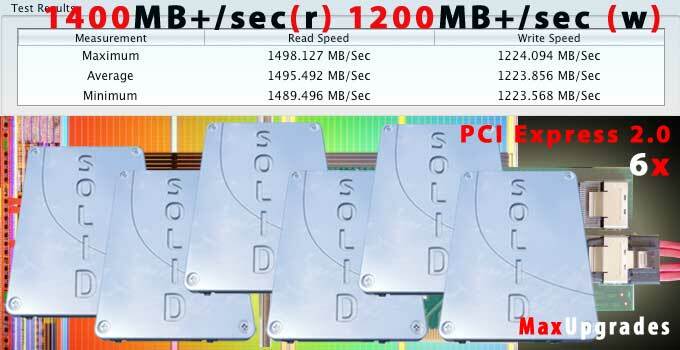 The above Data Transfer rate for four SSD SATA Disk Drives connected via 8-Port PCI Express 2 Controller installed in either PCI Express 2, Slot 4 , Slot 3 or Slot 2 of the Mac Pro 2009 Models or can be installed in the PCI Express 2 - Slot 2 in the Mac Pro 2008 Models.